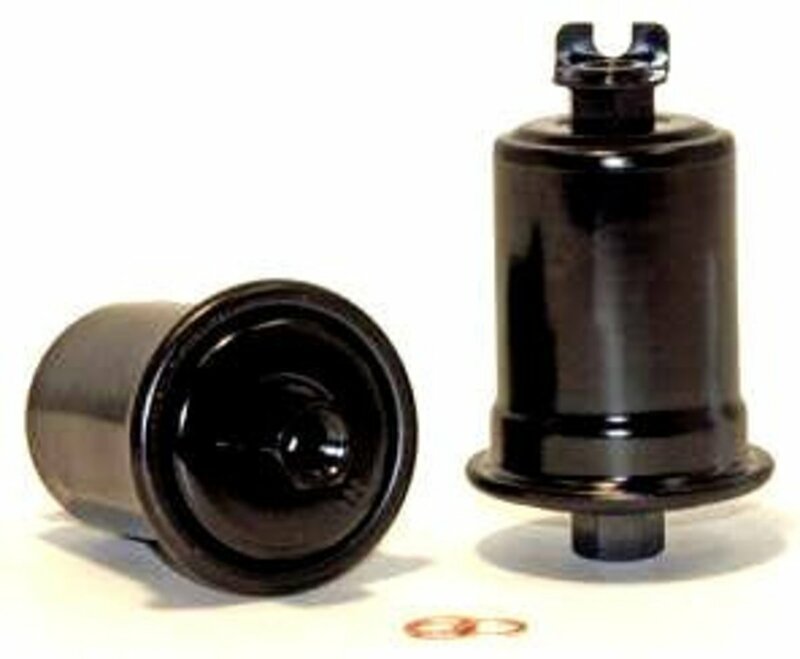 One of the most commonly neglected maintenance tasks on today's automobiles is fuel filter replacement. In the case of the Toyota Camry ('89–'01), the manufacturer does not even list the fuel filter as a scheduled maintenance item. Surprisingly, many mechanics at both dealerships and independent shops do not advocate its replacement unless customers request it. 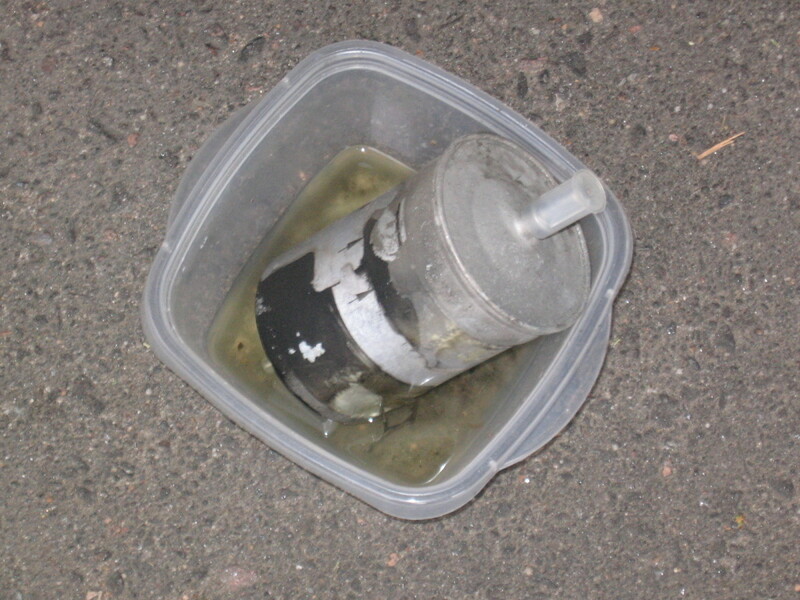 Advocates of fuel filter replacement recommend doing it every three years or 30,000 miles, and perhaps sooner if one is the victim of a bad tank of gas. After you remove a filter, you can determine how badly clogged it is by this test: remove as much gas as possible from the filter, wipe clean the filter input port, and then try to blow air through the intake fitting, as if blowing up a balloon. Some residual gas will blow out in the process. Sometimes when I have tried this I found I couldn't blow air through the filter at all. Compare this to blowing through a new filter; it should have virtually no resistance. 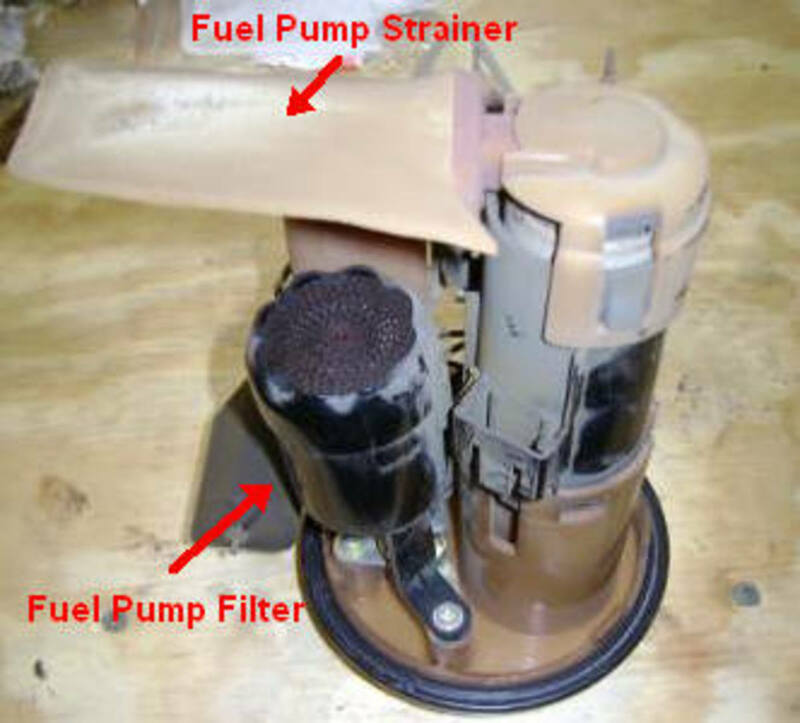 On newer model Camrys ('02 and later), including most Toyota and Lexus models, the filter is integrated with the fuel pump regulator located inside the fuel tank. Perhaps the reasoning behind this design is that 1) if you are going to replace the fuel filter, you might as well replace the fuel pump too, given the effort involved in removing the fuel pump regulator assembly; and 2) the filter and pump should last about the same time. The latter assumption won't be true, though, if the fuel tank was filled with contaminated fuel that clogged the fuel filter but didn't affect the pump. Access to the filter is made simpler by removing parts that interfere with tool access. I recommend removing the air filter box and the driver's side fender apron seal. 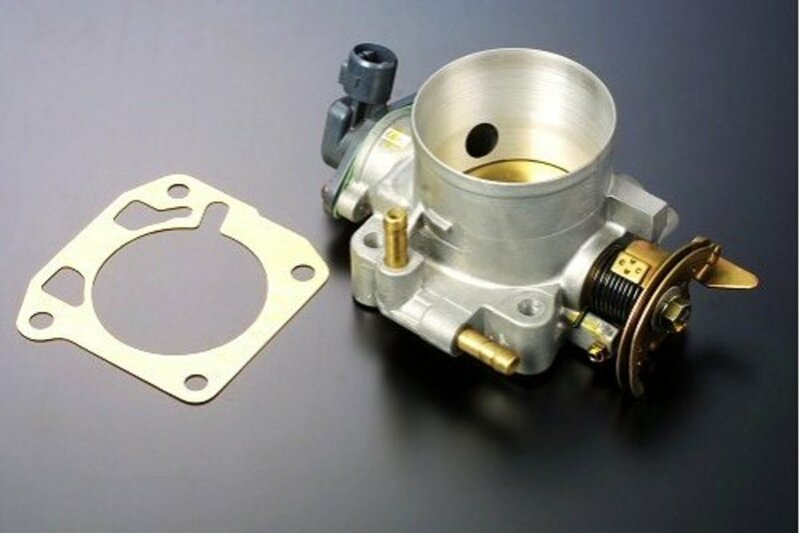 As long as the air cleaner box is removed, consider cleaning the throttle body and throttle plate to get rid of carbon buildup. This is another maintenance item that isn't listed on the manufacturer's maintenance schedule. 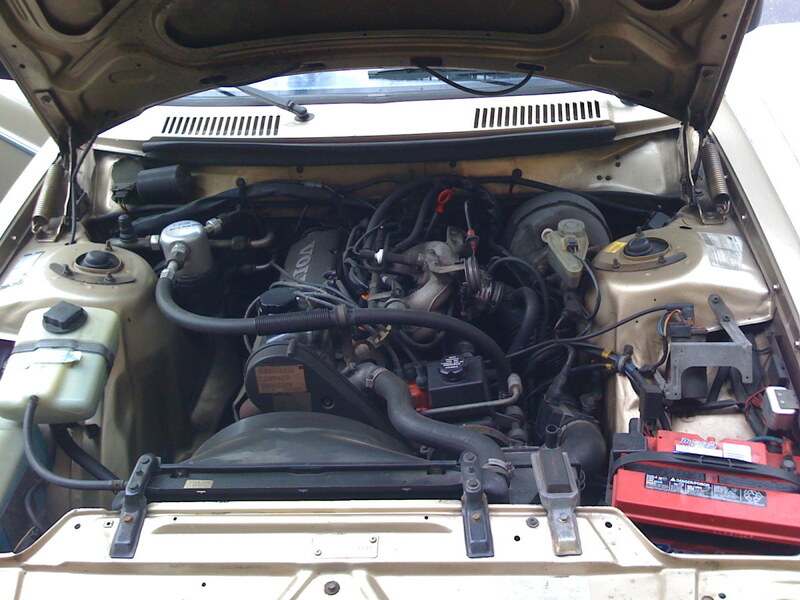 Accessing the throttle body intake is easier with the air filter box and air hose removed. 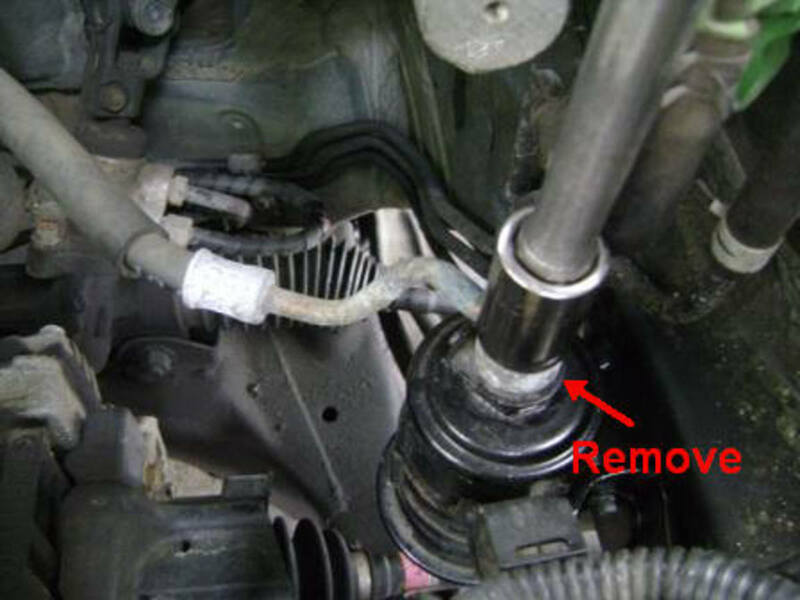 Before torquing off the lower fuel line fitting, have a rag on hand to capture any fuel that may leak after removal. 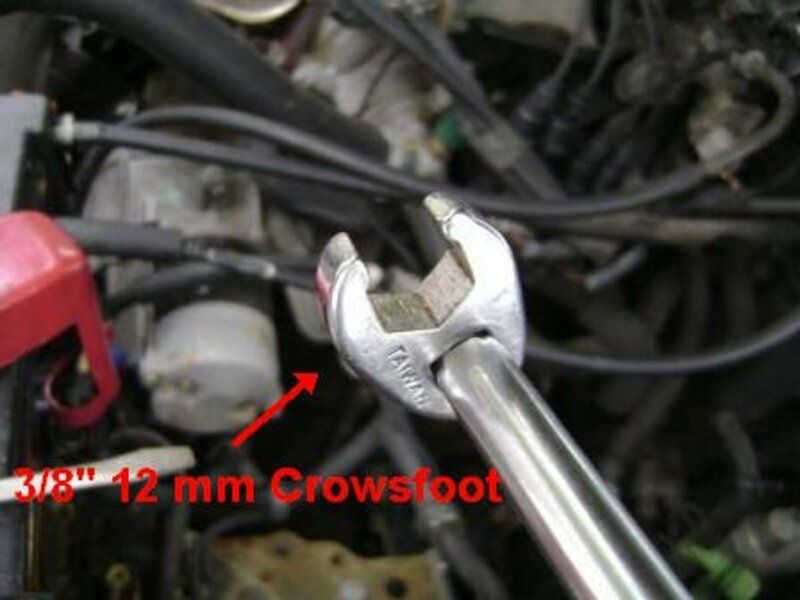 I used a crow's-foot flare nut adapter tool instead of an open-end wrench to generate more leveraged torque and avoid stripping the fitting. Strap-wrench the filter and use vice grips on the flare nut. While holding the vice grips stationary, turn the filter with the strap wrench. Hacksaw off the bottom portion of the fuel line. Go to your local auto parts store and find a brass fuel hose fitting that can screw onto the bottom of the new fuel filter. Purchase a foot-long fuel line. Connect the new fuel line from the hacksawed-off fuel line to the brass fuel hose fitting. Secure the fuel line ends with hose clamps. This is a last resort that has worked for me on several occasions. A customer of mine had a fuel pump replaced, while away on vacation, and the repair shop told him that they couldn't get the filter off for replacement. He subsequently complained he could hear the new fuel pump making noise and the engine lacked power. Later, after he got the filter off and replaced it, the noise and power issues disappeared. A 1/2" socket wrench is recommended. There is little room to attach a box wrench or open-end wrench to the union bolt. 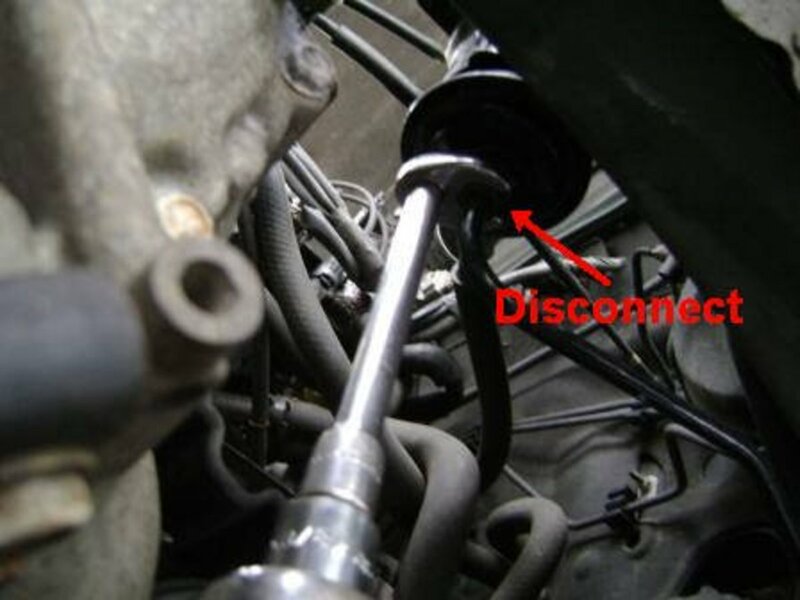 Grasp the filter firmly while applying loosening torque on the bolt. Place a bucket under the filter to capture gasoline; when the bolt is released, the filter will lose its vacuum. 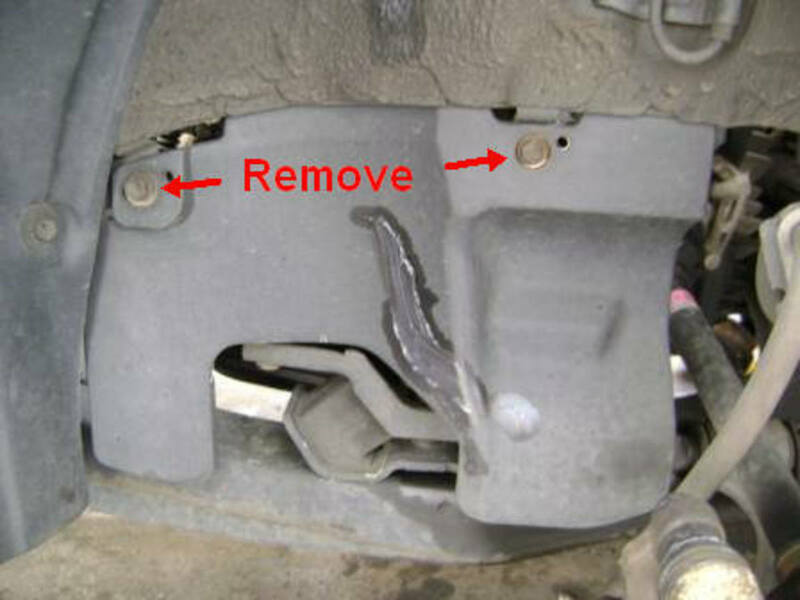 If the replacement filter came with a new bracket, remove the two 10 mm bracket retaining bolts from the vehicle frame. If using the existing bracket, remove the bracket and loosen the filter clamp bolt to slide out the old filter. Attach the new filter to the bottom fitting before attaching the bracket. Doing this makes it easier to adjust the fuel bracket while aligning both the fuel supply line and mounting to the vehicle frame. Slide the new or existing fuel bracket onto the new filter. Align the filter's elongated tabs with the indentation on the fuel bracket where the upper metal fuel line is at a 30-degree angle facing the transmission. Check that the bracket can align with the bolt holes on the frame without placing stress on the lower fuel line. After tightening the bracket mounting bolts, secure the union bolt to the new filter with new lower and upper O-rings. 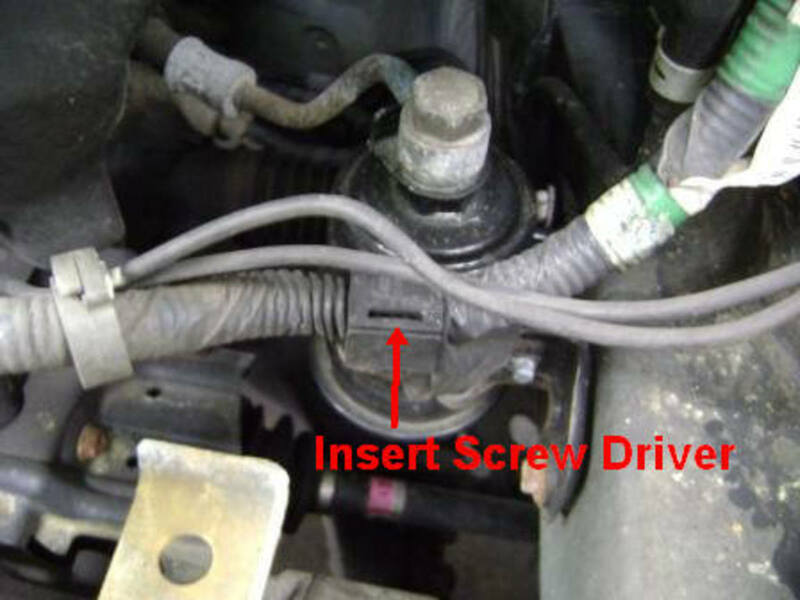 Now you can tighten the lower fuel line fitting. On the Camry, ES300, RAV4 and Avalon, there is an additional filter attached to the fuel pump regulator within the fuel tank that works in conjunction with the fuel pump strainer. If your car has over 150,000 miles on it, it may be a good idea to replace the pump, strainer and filter as preventative maintenance. I have written an article on how to do this replacement yourself. 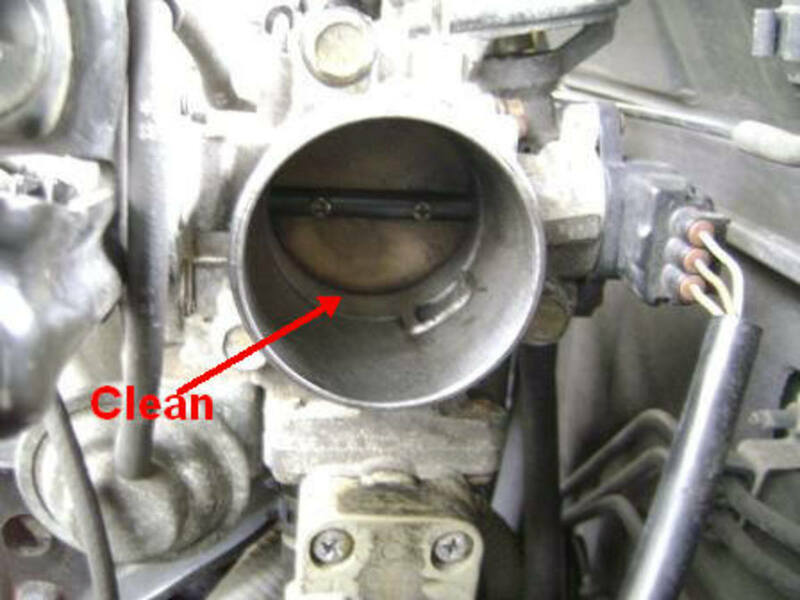 If the air box hose has been removed, before putting everything back together, you might consider cleaning off any carbon deposits that may have accumulated on the edges of the throttle body plate (or "butterfly") and the interior of the throttle body port. 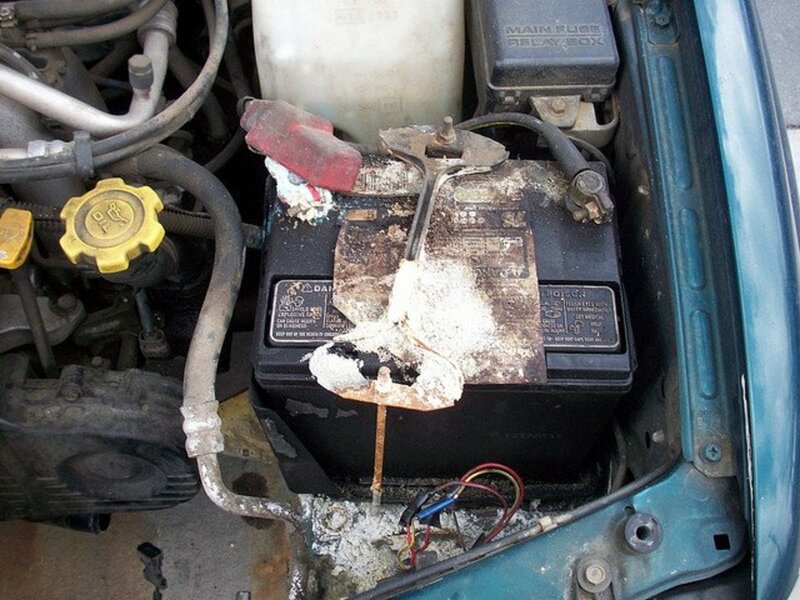 For cleaning, use carburetor spray solvent. Work the plate open, and use a clean rag plus perhaps a used toothbrush to loosen the carbon. For a really thorough cleaning job, you can remove the throttle body from the intake manifold and clean it while it's off the car. This way you can clean the air ports leading into the throttle body using a thin nylon-bristle brush. 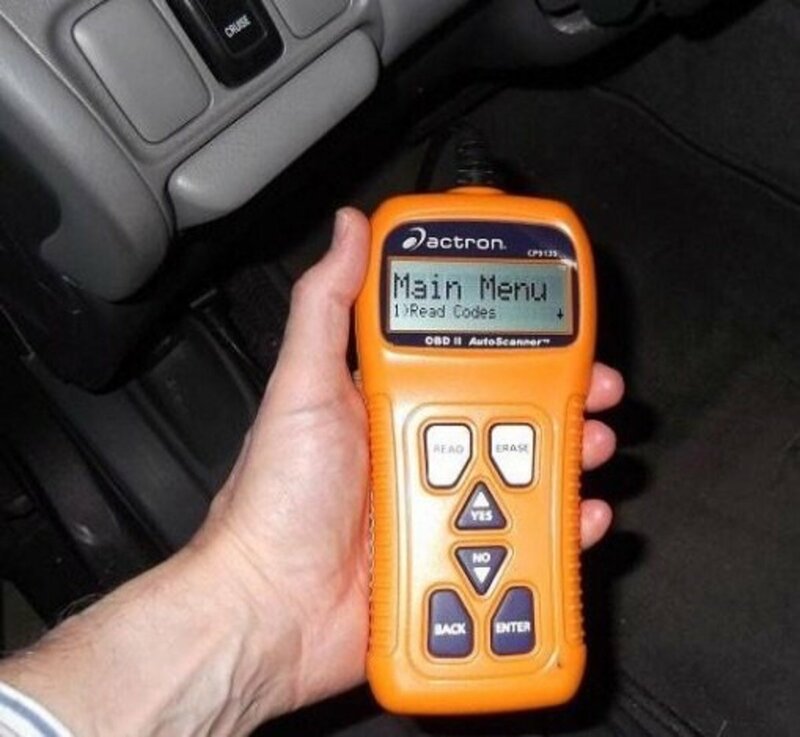 Turn the engine on for 30 seconds to allow the electric fuel pump to saturate the new fuel filter with fuel. Check for leaks. 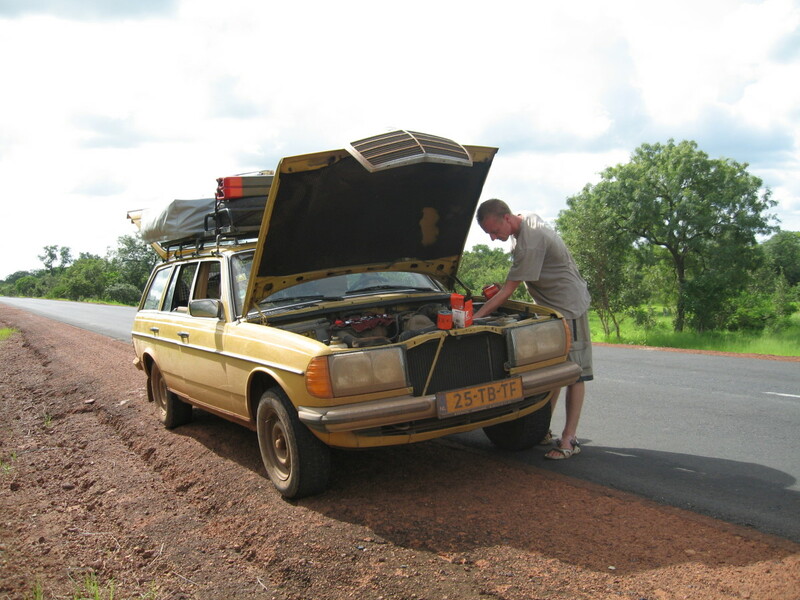 Then start the car, and with the engine running, check for leaks. 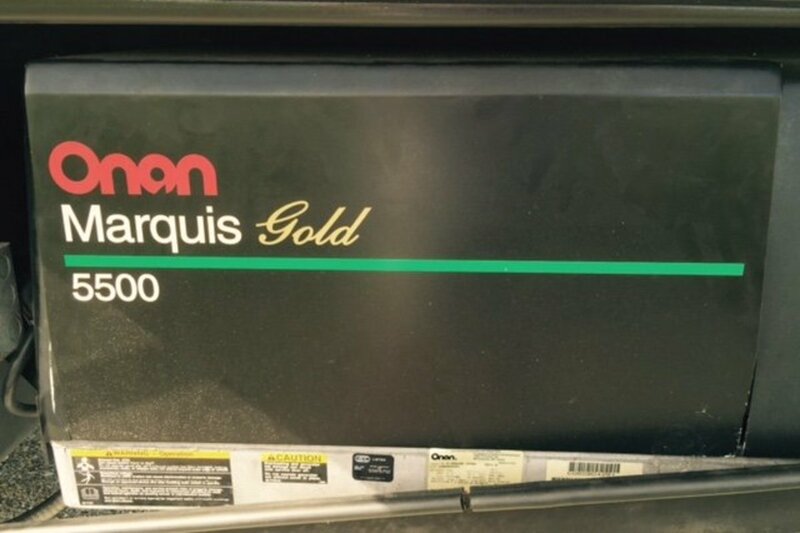 I recommend using a "Top Tier" gasoline to prevent deposit buildup in your fuel injectors and intake values. Use a fuel injector/fuel system cleaner if you have any concerns about deposit buildup. 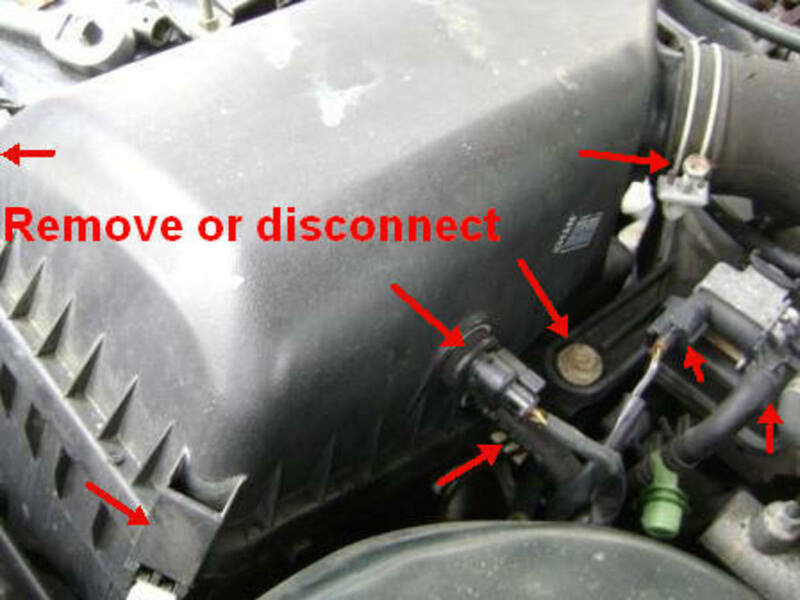 What is the correct washer placement on a 2000 Toyota Camry fuel filter replacement? At both the top and bottom of the fuel line banjo fitting. Is there another washer that goes at the bottom fuel line? There should be two new washers with every new fuel filter; one for the bottom of the banjo bolt connector and the other for the top. When you unbolt the banjo bolt, you'll see the two washers. One more; I want to lubricate the filter fittings. threads and connections so that future replacements are easier. What type of grease/lubricant would you recommend for the filter fittings in a Toyota Camry? I am considering white lithium, anti-seize, and Teflon based synthetic. I understand your problem. The thing is, lubrication to get it off in the future isn't the problem. It's getting the flare nut tight enough so the fuel won't leak. What has worked for me is applying Teflon plumber's tape on the flare nut threads. That has worked out very well for me. It prevents leaks and you won't have to worry about over-torquing the flare nut. The only thing mentioned that 1/2" is the wrench. FYI: The top bolt is 14mm not 1/2"
How much fuel can be expected to spill?, and do I need to do anything to prevent excess amounts of fuel from spilling? 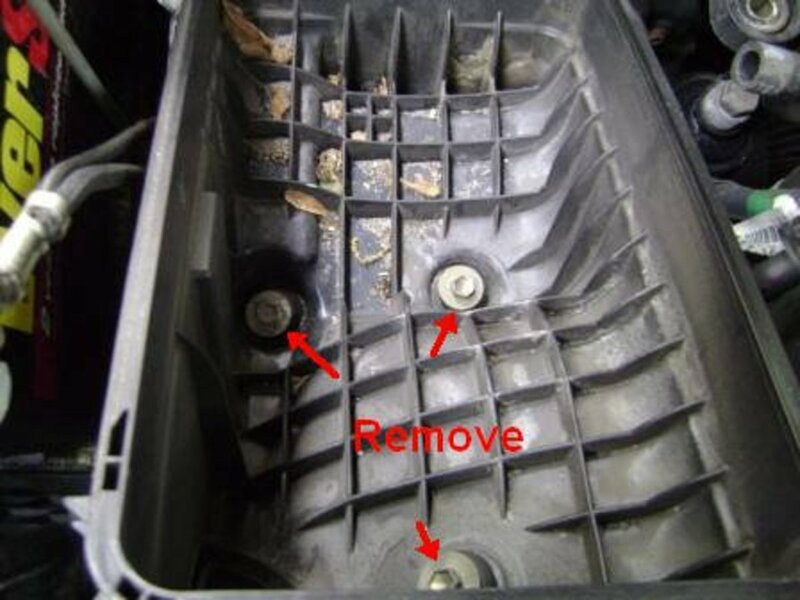 The fuel filter is located behind and below the air filter box. In 2002, the newer generation Camry, the filter was placed inside the fuel tank. 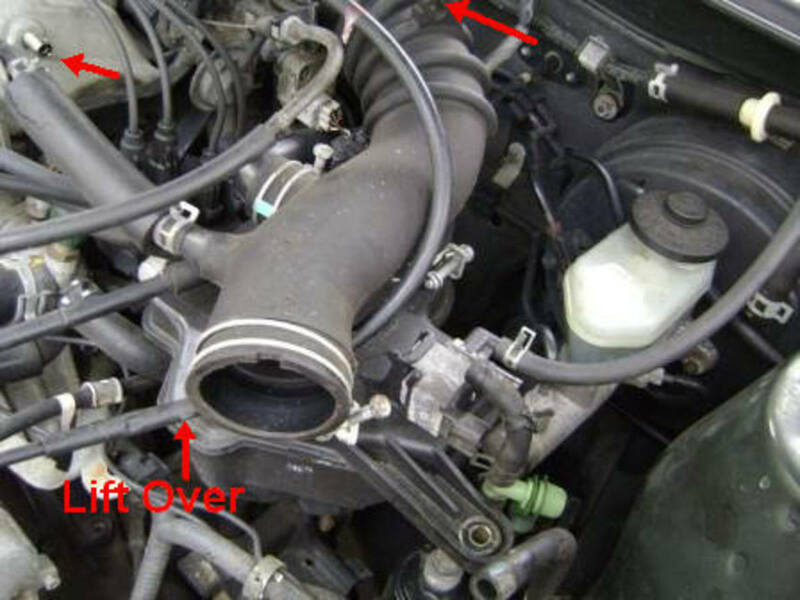 I have a 2000 Toyota Camry, would the fuel filter still be under the air filter box? People keep telling me it is probably in the gas tank, but that's just it, the key word is "probably". I need to know for sure 100% lol. Im a girl and trying to figure this out on my own cuz the men in my life do not believe in taking care of their daughter/or sister. The images above look different than mine. What pump is leaking ... water pump, power steering??? What Plastic connector? I'm not very mechanically inclined, but even I had the confidence to start this job after reading this article. I got the filter swapped out and now the rough idling that I'd been experiencing so often is gone! Thanks so much for the great post and please keep up the good work! 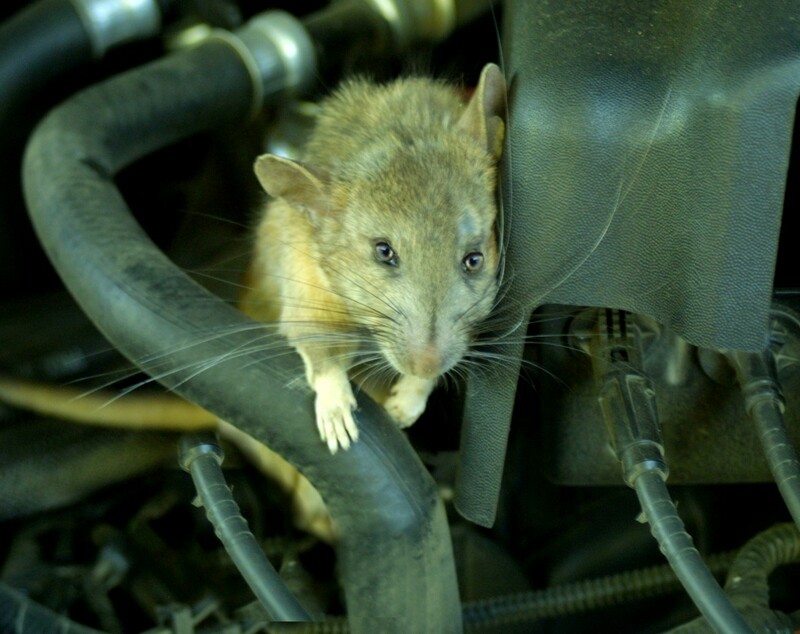 Do I have to depressurize the fuel line before changing the filter? I don't want fuel spilling everywhere. Thanks. The fittings are metric but you can try to find a SAE wrench that may work just as well. Are the fittings/nuts really SAE (inch sizes), or are they metric but the SAE wrenches fit anyway? this web giude is very very helpful, people can avoid making mistaken by follwing this giude. great article. 10 year old car first fuel filter replacement, and it was really clogged up, not kidding. Glad the job went easy for you. From my experience, pictures make all jobs more understandable. This article is awesome. 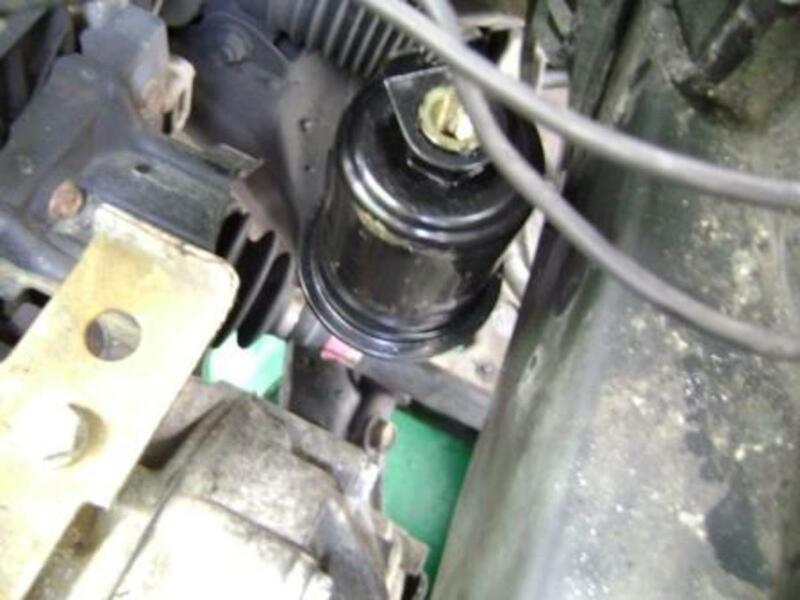 I could replace my fuel filter with no problems using this article. Pictures made the huge difference.